In der Lukasgilde vermerkt und als Lehrer eingetragen. 1612 stand er im Dienst des Erzherzogs Albrecht VII. von Habsburg, dann gefördert von kirchlichen Auftaggebern. Für Phillip IV. vollendete er um 1640 Werke von Peter Paul Rubens. Zu seinem Werkstattbetrieb gehörte Jan van Cleve, der seine Werke teilweise vollendete. Neben Rubens und Van Dyck gilt er als einer der bedeutenden flämischen Heiligenmaler.MARIA MIT DEM KINDÖl auf Leinwand. The artist is recorded from 1587 onwards in the Guild of Saint Luke and listed as a teacher since 1589. In 1612 he was employed by Albrecht VII, the Archduke of Austria and then under the patronage of clerical commissioners. For King Philip IV of Spain he completed works by Peter Paul Rubens in ca. 1640. Jan van Cleve was part of his workshop and completed de Crayer’s works in some cases. In addition to Rubens and Van Dyck he is considered one of the most important Flemish painter of saints. The large format and life-size, full figure depictions suggest that this is a high-ranking altar painting. 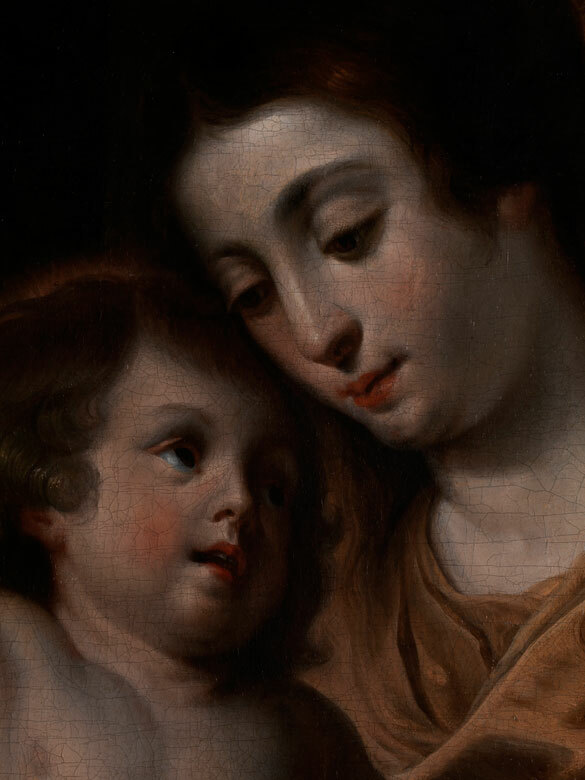 The Holy Virgin and the Christ Child with the Canon Jean van Callendries, held at the Notre-Dame Church in Termonde is a good example for comparison and is illustrated in the artist’s monograph . 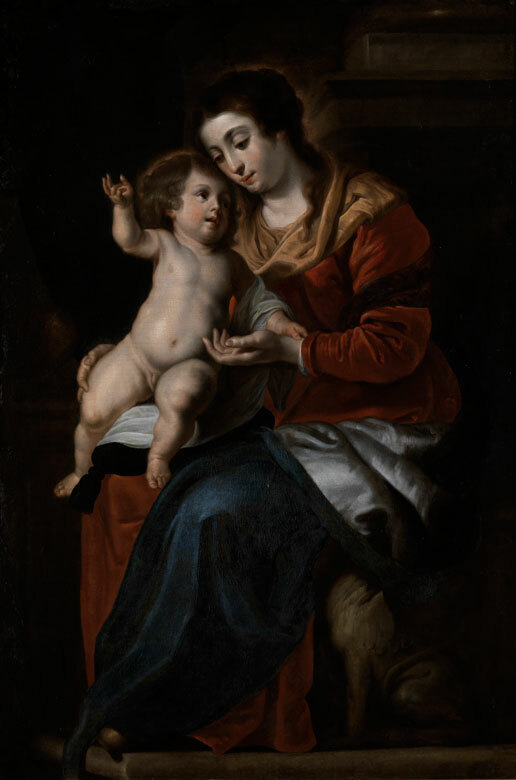 There, the figure of the Virgin with the Child is depicted almost identically apart from the addition of the kneeling figure of the canon on the left of the Virgin and slightly lower in the present painting. 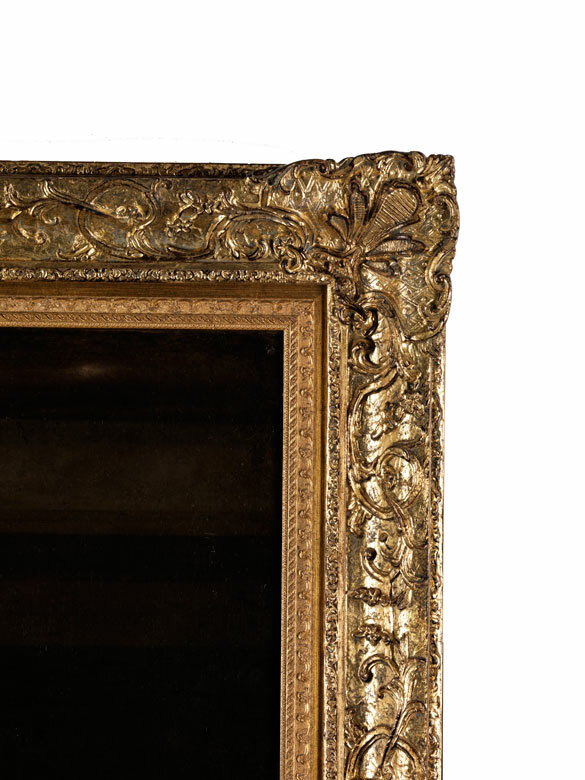 Several other works should be mentioned as comparative examples such as works held at the Matstone Museum/ Art Gallery and the Ghent Museum voor schone Kunsten.